Czech AeroHobby magazine issued in its No. 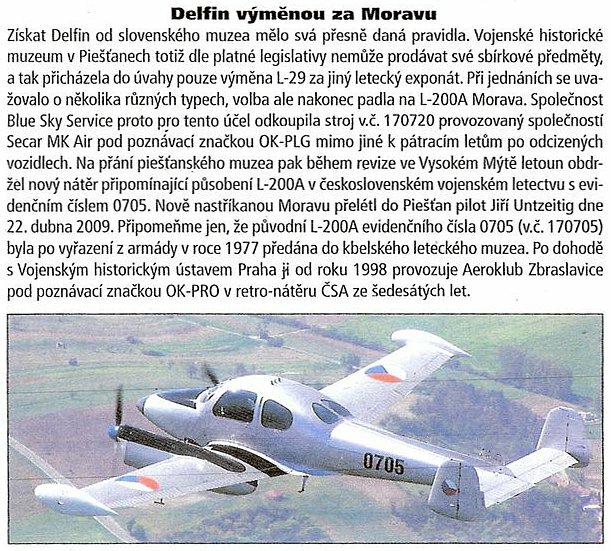 3 and 6/2009 short articles about a revision and a new painting of L-200 Morava aircraft, S/N 170720, for Blue Sky Service, s. r. o. company, which exchanged it for a L-29 Delfin aircraft with the Museum of Military History in Piestany, Slovakia. 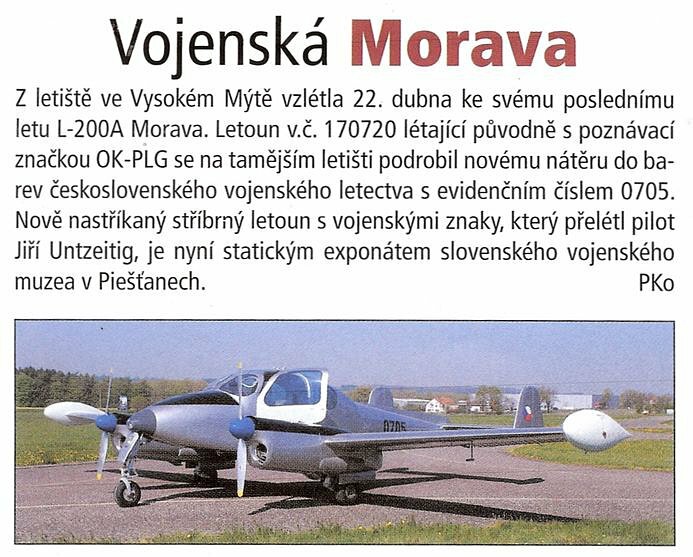 The L-200A Morava aircraft has been painted to Czechoslovak Air Force colors with registration number 0705 at museum request, which should resemble operation of this type in the Czechoslovak Air Forces. 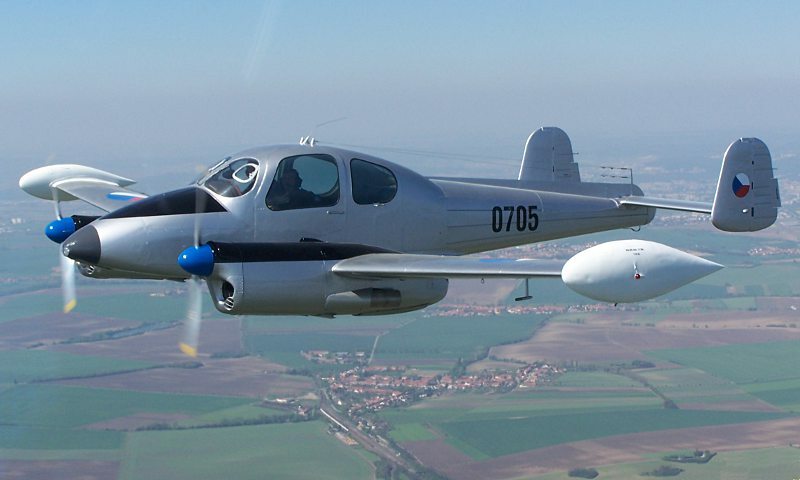 It is possible to mention as a curiosity that the original L-200A aircraft of the registration number 0705 had the S/N 170705 and after its putting out of service in Czechoslovak Air Forces in 1977 it was committed to the Aviation Museum Kbely, Czech Republic. 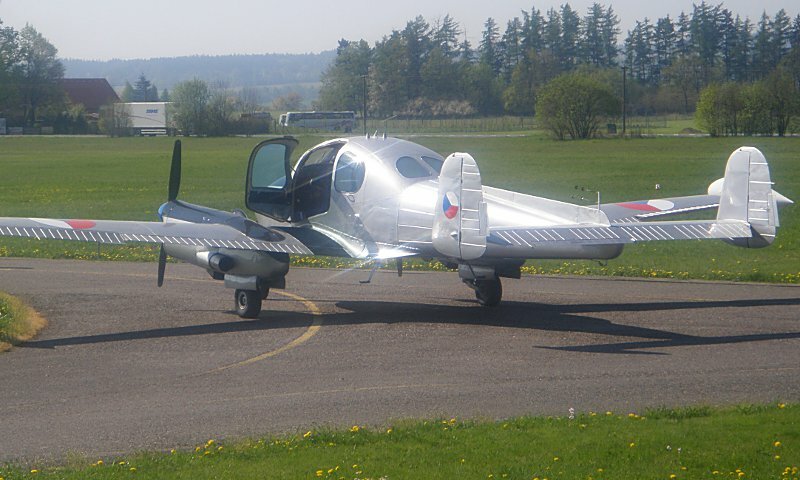 The Aeroclub Zbraslavice (LKZB) has been operating this aircraft since 1998 under agreement with the Military History Institute in Prague in retro finish of Czechoslovak Airlines of the 20th century's sixties under OK-PRO registration sign. The number 6/2009 of above mentioned magazine contains also Blue Sky Service's words of thanks among others to our Aeroservice for our works L-200A.